An exquisitely decorated home exterior instantly spreads holiday cheer, not only to your family and guests but to passersby as well. From the front door and the porch to the front lawn and fences, outdoor spaces are gorgeous backdrops for holiday décor. 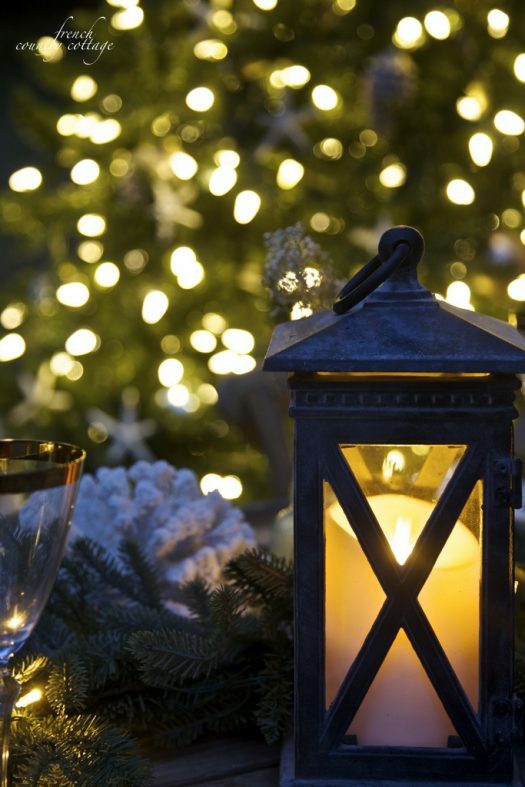 Heighten your curb appeal this holiday season with these stunning pieces of outdoor holiday décor. Wreaths and garlands are décor essentials that can set your home apart by instantly instilling an inviting ambiance on your front porch. For a warm look that reminds everyone of home, select classic wreaths embellished with natural elements that symbolize Christmas like pine cones, apples, and berries. If you want a more personalized design, choose unadorned wreaths that provide a lush setting for your favorite ornaments. To add visual impact to your entryway, generously drape a garland around it, letting it flow to the ground for a willowy, dramatic look. Symbolizing life, elements of nature enliven home exteriors. Convenient, portable, and available in different styles, topiaries are wonderful additions to the porch. 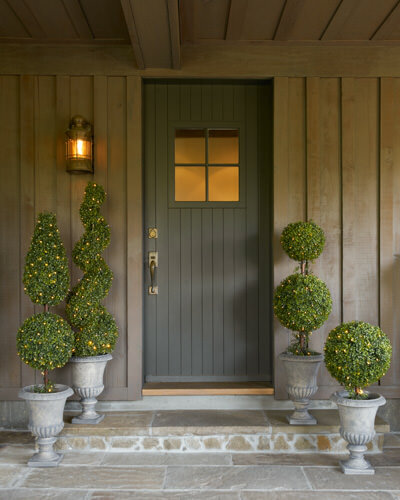 Flank your door with a pair of topiaries for a balanced, elegant appeal that never fails to impress. Look for topiaries with graceful designs as well as those that are already pre-lit for an impressive yet effortless display. For a contemporary and refined look, try arranging three ball topiaries of different heights on one side of your front door. Aside from adding glamor to your porch, table centerpieces are also conversation pieces that catch the attention of your guests. Serving as perfect containers for showcasing various colors and textures as well as conveying an enchanting appeal all in itself, tall glass vases or cylinders are splendid starting points for creative table décor. Play around with different holiday elements like greenery, glittery ornaments, and traditional symbols to create an exceptional centerpiece with a personal touch. Fill tall glass vases of varying sizes with pine cones, cranberries, and acorns, place them all on a circular wooden table mat, and then surround them with greenery and shiny Christmas balls. If you’re looking for a more rustic centerpiece, take an old wooden box and fill it with greenery, pine cones, and holiday berries. Juniper planted in a bright red or majestic gold pot can also be transformed into a chic table centerpiece by surrounding it with the same natural embellishments. 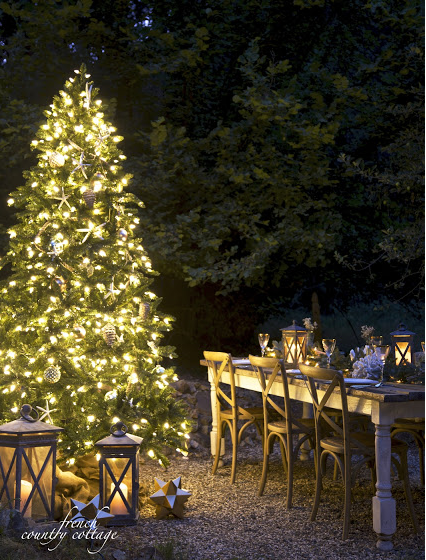 Aside from Christmas lights, lanterns give outdoor spaces an enthralling glow. Line your steps or walkway with your own home-made lanterns for a beautiful contrast of warm and cool tones. Lanterns are gaining popularity because of their versatility and charm. Place flameless candles inside and enhance their visual impact by adding interesting accents like pine cones and Christmas balls of different sizes. Another way to dress up the lanterns is to place greenery and clumps of red berries or a big bow on top. For lanterns that are closer to the ground, use clear glass bowls and votive candles instead. With these decorations, you can welcome your guests with sophisticated outdoor spaces befitting the season. Inspired by my passion for the visual arts and my years of experience in the field of design, I enjoy a life of style and artistry. I am a devoted follower of minimalism and I believe in the marriage of form and function. I try to live by these principles, from my subtle but classic fashion sense when it comes to clothes and jewelry, to the various projects I manage and work on in my professional career Influenced by the refined grace of Coco Chanel, the timeless beauty of my favorite city, Stockholm, and the new ideas and trends I read from design books, I try to infuse my life with elegance and sophistication. Join me on Balsam Hill’s blog to get my tips and advice on home design and personal style.